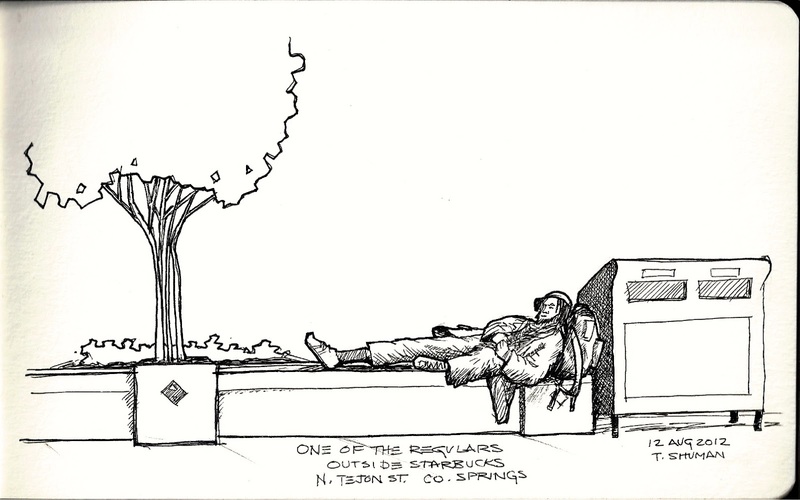 A fun sketch in front of the Starbucks on N. Tejon, Colorado Springs. Seen this guy several times. We biked to Starbucks this day. I was able to sketch discretely.